Pros and Cons of Airstream Trailers: Are They Worth It? Personally, I love traveling. I like to allow myself to travel for miles on end, without having to stay in hotels too much. For this purpose, I began buying RVs prominently. Some of these were new, some were used RVs, and I’ve had many different experiences. Sometimes a man just buys the wrong RV. He either overpays for one, buys a faulty product, or just can’t drive one. And considering how much of an investment it is to own an RV, this isn’t exactly a laughing matter. Why Buy a Used RV? How Much Does it Cost to Buy a Used RV? 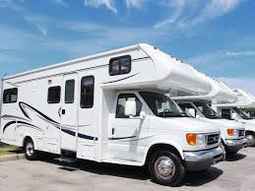 How to Find the Best Used Motorhome to Buy? Which Seller Do I Avoid? How Much Should I Pay for a Used RV? So What’s the Usual Price? When Is the Best Time to Buy a Used RV? How to Buy an RV in a Different State, on a Budget? Whenever people ask me for advice on buying motorhomes, campervans or any other RV type, I usually sit them down and thoroughly explain what they should and shouldn’t do, what they can expect and what they should be careful of. Partially because I have retold the same things hundreds of times, I thought it would be great to compile a handy little how-to guide regarding buying used RVs. Following these steps, anyone should be able to buy a decent RV with fewer problems. This is the question I’ve heard countless times. “Why should I buy a used RV anyway? Why not a new one?” The right answer is a little more complicated. Of course, a new RV can run better than a used one. I should emphasize the “can” in the last sentence. To illustrate my point better, I’ll offer both the pros and cons of buying a new RV. Obviously, the biggest pro is that the RV is more likely not to have any mechanical issues. I say “more than likely,” because issues occur even with new models. The second major point for new RVs is that they look…well, new. They appear better aesthetically, with no wear and tear, no leaking, no spots or odd odors. Literally everything about a new RV will scream “unused,” so I won’t have to worry about a potential breakdown. The final benefit is the fact that the technology is up-to-date. I can repair it faster and have less fuss in searching for applicable parts in case it breaks down. As I stated, new models can also have issues. There’s nothing worse than purchasing an RV and having it break down in the following week. Of course, if the problem isn’t covered by your insurance, you can’t really get compensation, and you’ll still have to pay it off in full. Another major flaw concerns the price. Each new RV loses 15% of its original value the minute I buy it. At times, that number can go up to 20%. And if I were to be paying it off with interest from a dealer, I’d end up paying far more than it will actually be worth five or so years down the line. That means I’ll be losing money instead of getting my money’s worth. The biggest benefit of buying a used RV is the price. A motorhome that’s five years old will cost almost a third less than the new one. If the model I want is well maintained, I will save a lot of money by just buying an older RV. On top of that, if I were to buy this RV from a dealer or an individual, I wouldn’t have to worry about interest. In fact, I could even renegotiate the price down to the amount that suits me (more on that later). Another major benefit is the number of choices. I’ll literally have thousands of different motorhomes at my disposal. That way, I can get the exact home that suits my needs. Moreover, I can even get RVs with added upgrades. What I mean by this is that the original owner upgraded it further, so I don’t have to buy those upgrades if I need them. The keyword here is “added upgrades,” as in they weren’t there when the RV was new. Naturally, I will go into far more detail about this further in the text. Nevertheless, I’ll list off a few potential flaws of a used RV. Since it is a used vehicle, it can have any number of problems. Depending on how I handle the sale, I can run into any number of different issues, such as mechanical problems, plumbing issues, stains, odors, wear and tear, or general poor maintenance. Problems on RVs aren’t exactly like problems on regular cars. They can, in fact, cost up to several tens of thousands of dollars to fix. Another major con is whether or not the seller is a con-artist. Or, to be more precise, whether I can trust them or not. In short, a seller can either overprice me for an RV, sell me a faulty product, or just outright take my money and leave me high and dry. Not all people are like that, but enough of them are. As such, I always advise people to be very careful when shopping for used RVs. There are, of course, more negative sides of buying a used RV, but the ones I just listed are most common. And even with these flaws, I always shop for used motorhomes rather than new ones. With some useful tips and decent “legwork,” I can buy myself a spectacular RV for a very low price. Not only that, but I’ll also be able to resell it later reasonably well if I want to, and won’t have to worry about repairs as often. Getting a new RV is just too big of a risk. When people look for the best used campervan to buy, they usually ask about the average price. I’ll be honest – there’s no one “round number” for all models, or even for all models of a single class. But I can provide a few useful tips when it comes to determining the price. For this example, I’ll use eBay. First, I’ll want to learn the right selling price for a model. So what I do is look for a specific model and try to find all complete listings for it. These will give me the most realistic price for that particular model. Naturally, I do this for every model I’m interested in. It’s always good to have more than one (or even more than ten) models in mind. After doing the first step, I move onto actually searching for the motorhomes others recently put up for sale. It’s important to note that the selling price from step 1 is NOT the price I want. I will always want lower than that. For this purpose, I always look for the model on eBay, Craigslist, local listings and other sites (which will be listed below a little later). This will give me a good overview of how that model “moves” on the market. A classic error is looking for a price that is significantly lower than the selling price from step 1. Usually, that means there’s an issue with either the RV or the seller, if not both. The safest bet is to look for lower prices that are somewhat closer to the basic selling price. There are many different variables to consider when deciding what the best used campervan to buy is. 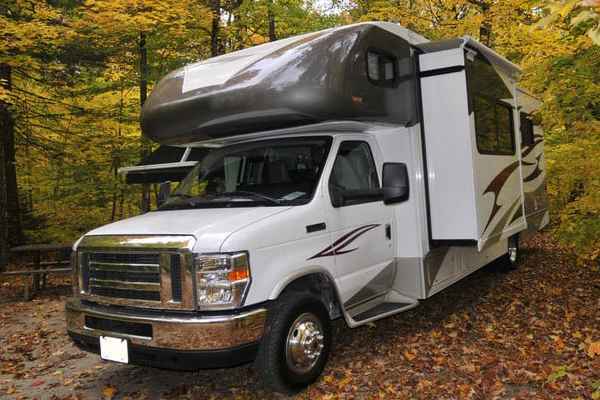 Of course, I’ve listed a few steps above when it comes to the price, but let’s talk about the actual RV itself. The short answer is – look for a decent dealer or the right seller. In the first case, the dealer has to be legitimate. That means I’ll want to do business with someone who isn’t selling me a dud. Usually, when I spot an ad for a good dealer, I check every bit of info about them. This includes their address (which I go over on Google Maps and Google Street View), the brands of RVs they sell, and the ratings they have online or otherwise. If any of these sound or look fishy, I avoid the dealer, and so should everyone else. In terms of individuals, it’s important that the seller isn’t a potential fraud. The best seller is usually an older gentleman or lady. He or she also must be someone who takes good care of their RV, drives it often, and wants to undergo a major life change, which includes selling the RV they own. These traits will ensure me that their RV is safe, maintained, durable and, of course, a decent purchase. It’s also important to take into account where the seller lives. I’ll cover this topic a little later in more detail. One type of salesman I always avoid is someone who doesn’t know much about motorhomes. When buying an RV, I want to know its history — what it’s been through, so to speak. Not knowing a thing about a new purchase can be a horrible thing, especially if it breaks down. The next category of sellers is what I call “suspicious sellers.” They can owe more money than the selling price of the RV is. They might sell salvage title RVs, repossessed motorhomes, or RVs recovered from theft or a flood. And I don’t even have to get into Craigslist scammers, who are a dime a dozen nowadays. Most of the time, these sellers are offering people a faulty product. Or even worse – they offer nothing at all and steal people’s money. Less dangerous, but still avoidable are sellers who overprice their RV or who’ve lived in one full-time. The first of these two can get more money out of me than the caravan is worth. On the other hand, an RV that was lived in every day almost always has some problems. Smokers, pet owners or parents of unruly kids are also a major “no. ” All three can significantly affect the interior of the RV in one way or another. Now I’ll get into some specifics. Everyone should have a list of things to look for when buying a used RV. 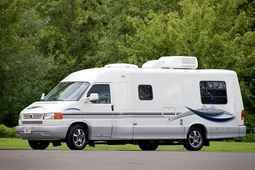 Following the steps I’m about to list, potential customers will get their money’s worth for the RV they plan on buying. It’s easy to buy a cheaper vehicle of an unknown, usually Chinese brand. The problem is, these can be a hazard to drive or even own. It’s best to stick to the classics. I suggest brands such as Coach House, Pleasure-Way, Leisure Travel, Winnebago, Roadtrek, and Fleetwood. There are more, but these are a good place to start. The general rule of thumb is to go with any model made after 2004. The RV’s tech is easier to repair or replace, and they’ll run faster and more safely than older ones. The newer the used RV, the better. The golden standard is over 10.000 and under 45.000 miles. 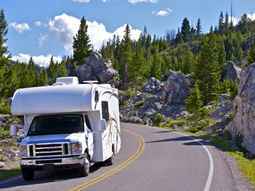 Any RV that went beyond the upper limit will likely need major repairs soon. However, an RV that wasn’t driven a lot can be a problem. Usually, this means that the motorhome doesn’t handle well or has issues on the road. So I repeat – the golden standard is in between. My “new” used RV has to look good on the outside and clean on the inside. Usually, when I see spots or leaks, I avoid the vehicle altogether. Body damage can lead to malfunctions, and nobody wants that. Furthermore, it mustn’t have any rust. In addition, if the RV has manuals and manufacturer’s books, it’s a bonus. These books can help me with any potential problems and repairs. But then there’s “curb appeal.” The model I’m looking at has to be something I’ll want to resell later. That means it must be attractive and stand out from the rest. It also helps if the model is in high demand at the moment I’m buying it. Usually, that means quality, since most people want to buy that particular RV. It’s very simple – I want my RV to look good and to feel new. An aging, worn look is a turn-off in every way, shape, and form. Normally, I also want to resell the RV at some point. So if I don’t find it attractive enough, nobody else will either. I already mentioned smoking and pets, but odd smells can come from anything. Sometimes it’s various chemicals. Other times, it happens to be bodily odors such as those from sweat and vomit. Really, any off-putting smell can be a deal-breaker for me. Considering how often I travel, I want my RV shower and bathroom to work. I also want a vanity mirror with a decent sink. When it comes to these particular rooms, they also have to be roomy. Nobody likes bumping their head or squeezing into or out of a room they often use. Ideally, I want a large kitchen, a dinette, and a working refrigerator. Food is important when traveling in an RV, and I want the ability to prepare, eat and store it properly. Long RVs can be difficult to drive and park. Short RVs, however, cannot fit a lot of people and feel cramped. Again, I’d prefer something of a decent length and width, with enough space for more than four people. In addition, I prefer a side door. Some RVs have their entry doors in the back, but a side door is safer and easier to access. Airbags are a must. One can never be too safe. Same goes with locks. Most modern RVs have decent safety systems, but like everything else, they aren’t all state-of-the-art. I.e., the age of the RV, the mileage, the manufacturer and the overall look. What follows is a handy “how to buy a used travel trailer” checklist, though it applies to all RVs. I touched upon some of these, so allow me to expand on this topic a bit. I’ll go back to my example of “price checking” for a bit. It’s important never to go RV shopping without a reference price list. Normally I print it out after doing some research. That way, anyone can know if the seller is trying to charge them several thousands of dollars extra. A small reminder – every new RV depreciates in value by at least 15% after someone buys it. Why pay that 15% when I don’t have to, right? In addition, it’s important to check if a seller is trying to overprice a used vehicle. The selling price is just the beginning of a sale. Both private sellers and dealers expect the customer to negotiate it down. That’s why it’s important to know the selling price firsthand. For example, if I see an RV priced at $19.000, I can negotiate that price down to even below $10.000, if I’m lucky. Naturally, the counter-offer has to be sensible. I never negotiate unreasonably low, as the seller will refuse to sell for that price. To use the same example, I will never offer $4000 for a $19.000 RV. That’s absurd. But I will go as low as $9000 and see where it takes me. I already mentioned this, but I must stress that every price comes with a caveat. If I see a decent RV that’s priced far below its selling price, I avoid the deal. There’s definitely something shady about that deal, so I’ll skip it for a more realistic purchase. Again, there’s no single number as an answer to that. Depending on the model, size, scale, and features, a customer can pay anywhere between $9000 and $30.000, but even these are estimates. The used RV market fluctuates often, which is a good thing. The best thing to do is to decide on a budget and stick with it. For example, if I have $20.000 to spend on an RV, I never go a single dollar above that. But I will always be happy to go below if I find the RV that suits my needs. I also constantly push for a lower deal when talking to the dealer. There are times it doesn’t work, but when it does, I can save thousands of dollars and have an excellent RV to drive around. My favorite part of motorhome shopping is negotiating used RV prices. I should note that a customer should do this with both dealers and individual sellers. I’ll illustrate how I do my negotiations. First, I offer the lowest price I’m able to go for. If the seller refuses and offers a different rate, I stand my ground. Naturally, I maintain my cool during this process. This is where the printed list of other models on eBay comes in handy. I then discuss the price with the seller, noting the other sellers and RVs out there. He might lower his price again, but if I still don’t like it, I begin to walk away from the deal. (I don’t have to mention that I maintain a professional, yet polite demeanor with the seller). If he stops me here and offers a deal closer to mine, if I want to pay in cash, I can either accept or still press my ground for the original rate. Should he refuse – we go our separate ways. If he says Yes, we have a deal. 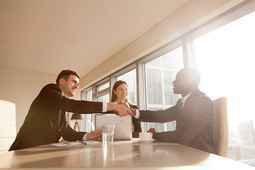 Most people don’t know when or how to walk away from a deal. It’s a simple skill, but admittedly difficult to master. Once I began to walk away with confidence, I was able to buy lots of RVs at lower prices. It’s important to know what my budget is and how high I am willing to go within it, NOT above it. But it’s also important not to walk away too early. That might give the wrong impression, and I might lose out on a deal of a lifetime. Furthermore, it’s important to know HOW to walk away. Aside from politely saying “goodbye,” I exchange my phone number with the seller. There’s a high chance he might change his mind in the meantime. If he does so, I might still get the RV at the price I’m willing to pay for it. That’s right — the Internet will be my most useful RV buying tool. As such, I’d like to talk about the best used RV websites. 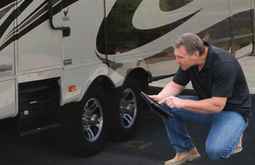 Not only do they offer the biggest range of the best used RV prices, but they can pin down the location of the seller and give useful advice on how to handle purchases. 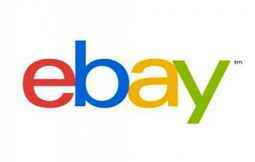 For years, eBay has remained the best website worldwide for used products. I should mention, however, that when it comes to RVs and motorhomes, I rarely, if ever, buy them on this website. Normally I just use it to compare prices and build my list of potential models to buy. In addition, I sometimes resell my own old RVs via this website. Craigslist is both the best and the worst website for buying used RVs. Anyone familiar with creepypastas and creepy true Reddit stories knows how many of them include creepy men or women that posted Craigslist ads. This isn’t far from the truth. Craigslist will often have fake ads or even real ads with suspicious people running them. When I want to buy an RV from Craigslist, I usually look for ads with phone numbers and other relevant data. If they have none of these, they’re scams. I also ask whether I can see the trailer. If the seller is giving me an excuse saying that I have to pay up front and go to a certain location to see the RV, I know he or she is lying. If the person agrees to meet somewhere, I absolutely make sure that we meet in a safe space. And I don’t mean a Tumblr “safe space,” I mean a public parking lot or a crowded area with lots of people. Oftentimes, I would bring another person with me, just to be sure. However, not everyone on Craigslist is a scammer or a weirdo. Most of the time, it’s just a person willing to sell their motorhome. Once I’m sure their ad is not a scam in any way, I move onto seeing them and inspecting the vehicle. An addition to Craigslist, this website is great for searching across the entire continental United States. I can even use specific keywords and set them up to notify me via e-mail if a new ad gets posted. 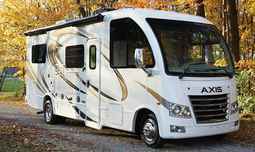 This webpage lists classified ads and websites of various RV dealers. The cool thing about this site is that it lists RVs that not even Craigslist or eBay tend to list. This particular website usually just has dealers that sell RVs at full prices. I still look over it because sometimes I can negotiate the price even with these dealers. Much like RVTrader, Camping World also sells RVs at full prices. And much like with RVTrader, I can find negotiable deals even here. Roadtrek happens to be one of my favorite RV titles. It’s no wonder, then, that I visit this webpage often. 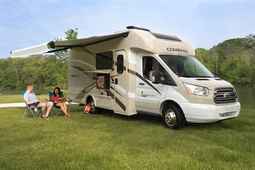 It offers me a list of various Roadtrek RVs on sale from individual sellers. One more website I’d recommend is Facebook, specifically groups dealing with RV sales. They often change or get closed down, so it’s important to keep oneself updated. I won’t link to any Facebook group page here since they can be taken down as early as tomorrow. But a good way to stay in touch is to register on an RV discussion forum and occasionally browse new topics. Normally, the users themselves link to these Facebook groups, including the group admins themselves. However, it might be a good idea to have a few details in mind. For example, I never buy an RV on a rainy day. The rainwater can make the motorhome appear waxed or maintained, whereas it might look decrepit when dry. In addition, rainwater covers blemishes and makes dents and scratches harder to see. A good time to buy a campervan, however, might be the day after a rainstorm. That way, I can actually look for places where water might leak. But ideally, I’ll aim for fair weather with lots of sunlight. Chances are high that the RV will appear in its “normal” state during that time. Some RV owners will mention the fall months to be the best. One of the reasons they offer is clearance sales. Naturally, every salesman wants to “get rid” of a vehicle before the cold weather sets in. However, as I stated, there’s really no difference if you buy the RV in September or in March. Unlike the month of purchase, the location is very important. The state of an RV will largely depend on where it was driven. For example, if I were to drive it in a rural or suburban area, it would require fewer repairs. On the other hand, if I drive it through a desert or off-road, there will be visible wear and tear. This is absolutely the very first choice any RV buyer ought to have. First off, the weather in Florida is spectacular, especially in its Northwest. There’s the moderate climate, absence of freezing or scorching temperatures, and a decent ground level with well-maintained roads. But it’s not just about the geography. Florida has a high amount of retired folks. These people are usually the best possible sellers of RVs. Not only do they have a well-maintained motorhome, but they’re willing to sell it at a fraction of the original price. While both of these states have their own geographical flaws (deserts, rough terrain, etc. ), the people who sell RVs are generally similar to those of Florida. Once again, I can rely on an elderly gentleman or a lady selling a well-kept RV for a smaller price. Other southern states also tend to have a large demographic of retired RV owners. And considering the wide geographical area of the Southern USA, I can pick whichever of these states is the closest to me in terms of driving there. These include Michigan, Pennsylvania, Ohio, West Virginia, and Indiana. However, just to be sure, I avoid any sellers from Wisconsin, Iowa, and Illinois. Now, these states might appear perfect for driving RVs and motorhomes. The problem is, the winter weather in these areas is a bit harsher. As such, each RV can suffer from salted roads, frozen pipes, or anything associated with snow or ice damage. Rust is also more common with RVs driven here. Whenever I see that an RV seller is from California, Oregon or Washington, I move onto a different seller. The coast is susceptible to hot weather, salt water and, most importantly, forest fires. 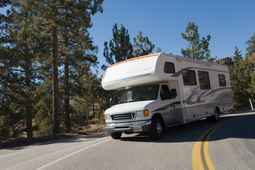 Any of these can damage an RV significantly. Another problem is the prices. An average Californian RV seller will have higher rates, sometimes insultingly so. That’s why my best bet still lies in the South and Southeast. In short – Florida all the way. A potential RV owner must never think like this. I was more than ready to drive hundreds of miles just to take a look at an RV (and walk away) because ultimately, it will pay off more than buying an unreliable RV that was closer to home. I’ve already mentioned what the dangers are of buying a used RV from certain areas of the US. Any RV shopper must be ready to go the distance when buying that perfect vehicle. It will save them money they would probably spend on repairs, paying interest or anything else. In other words, it’s important to look at the bigger picture. If the RV I buy will serve me well and if I can resell it later at a reasonable price, I am willing to go as far as Florida to buy it. Not every trip across the US has to cost me an arm and a leg. For example, I never take my own car (or older RV) to Florida when doing a purchase. What I do is rent a car from a famous firm such as Enterprise. Once I get to Florida, I rent out a room at a motel or a hotel for a single night. The next step depends on my deal. If I happen to buy the RV right then and there, I return the rented car to one of the offices in that city. After that, I return home in the RV itself. However, if there’s no deal, I just return home in the rented car. When I tally it up, all I really paid for was the rental and the motel. That might cost a pretty penny, but it’s still less than any potential repair if I were to buy a faulty RV. This is the first step both for private individuals and RV dealers. I begin by checking the location of the seller. Fishy locations get ignored, legitimate ones get a once-over. When I learn that the person on the other end of the ad is an individual, I check for potential flags. Lack of a phone number? Scam. “I am at a wedding/away fighting a war/etc., the RV is located here and here, payment upfront?” Scam. Finally, if the ad is legitimate, I ask a list of questions. a. “Where is the RV right now? What is the title name and is it currently with you? Any coach problems? Damage from water or leaks? Has it ever crashed anywhere? Any rust on it? What about window problems?” Any “no” answer to the first two questions and “yes” to the remaining five results in me ending the conversation. b. “Was any of the owners a smoker? When did you drive it last? Any problems with the generator? Refrigerator? Age and state of the tires? What about batteries? Last time it was on a trip? What is the fuel mileage? Last oil change?” Most of these have varying replies. If it’s anything mechanical or electrical that doesn’t work, I avoid the deal. If the tires are old, I avoid the deal too. The golden rule is that each part is in good condition, that it runs well, that it was used often recently and that it doesn’t look, smell or run poorly. c. “Are you willing to negotiate the price?” Any negative answer is an automatic rejection of the deal. Sometimes I would even ask the owner for a video walkthrough or an additional picture. If I sense any hesitation, I end the call and move onto a different seller. This is, by far, the most important step. If a single thing is wrong with the RV just by looking at it, I’m not buying it. First, I ask the owner of the RV every possible question I can about him or her and the motorhome. Anything that sounds like a red flag will make me leave. Before each purchase, I bring some tools with me, such as reading glasses, a flashlight, cotton gloves, a tiny mirror, a notebook with a pen, a digital camera, a tire pressure gauge, a tiny toolkit, a calculator, a rug (if I decide to look under the RV) and a refrigerator thermometer. Despite what the owner says, I always ask to check the RV myself. Naturally, if they reject, I walk. First I inspect the outside – cracks, peeling, wear and tear, broken windows, broken locks, leaks, rust, etc… If the RV passes, I move onto the interior. I observe the floor plan – which section is situated where and how big it is, to be exact. Next, I also check for tears, leaks, scratches, broken or missing parts and so on. Every room gets a once-over. After that, I check the mechanical and running gear issues if any exist. Everything from the plumbing to the stove has to work. Naturally, it also has to have a working dashboard, steering wheel, lights, etc. The tires are the last bit I check. If needed, I inquire about local mechanics and ask for a professional opinion. I cannot begin to stress how important this step is. Once I let the owner drive the RV, I can tell how he or she treats it. If the vehicle handles poorly, I know that I shouldn’t buy it. After all, if the original owner can’t drive it, how can I? But this step also gives me a chance to observe the vehicle in action without worrying about crashing it myself somewhere. Naturally, I ask the owner upfront not to turn on the radio. Without any noise, I can properly listen to the sounds the RV makes. Any abnormal crackles, hums, bumps or snaps let me know that the RV isn’t in the best condition. Radio noise would dim that, and if the owner insists on playing the radio, I politely ask to leave. The owner ought to drive his or her own RV for a few miles. Should there be no problem, I ask to take the wheel myself. But there’s also a process there. The RV must go through a few smaller backstreets. This will allow me the opportunity to test the brakes and how it handles in everyday traffic. If there’s a single problem here, I stop the coach, and the deal is off. I also end the deal if the owner refuses to take the RV out on an open highway. That’s actually the final part of the test. If the RV can handle itself well while I’m driving 60 mph, it’s as good as mine. But there can be plenty of problems that prevent this. The steering wheel can handle poorly for one reason or another. Alternatively, the whole coach can swivel badly, or even “porpoise.” In other words, the front can bob down while the back end lifts up. Whatever the issue, it’s a deal-breaker for me, and it really should be for anyone. Plenty of motorhomes out there have handling problems at higher speeds, problems I really mustn’t have while driving. I’ve already outlined the entire negotiating process in an earlier step. However, the sale doesn’t end with the negotiation. After we’ve agreed on the price, I’ll ask the owner to inspect the RV title for a potential mismatch. If there’s no problem, the seller must prepare what is called a bill-of-sale. If the seller doesn’t have one, I bring my own copies (they can be found online on any DMV’s website). We both fill in the required fields, sign it and photocopy the document. Then comes payment, and I must stress this – always via a bank transfer. Usually, I bring checks, but if a bank can’t clear them, we set up a wire transfer. Of course, I must obtain insurance and a Road Breakdown assistance plan. The best website for RV insurance is www.progressive.com/rv / whereas I normally go to www.goodsamroadside.com for the RBA. Yes, as odd as it sounds, the sale doesn’t end with the money transfer. Before I drive off my new RV, I switch off any water hoses or shore power cables. Then I ask the seller for any additional equipment for the RV and bring it with me. Next comes the lock check of all the doors, as well as tire pressure check. Then I go to the first gas station and refuel the motorhome, check the level of oil and brake fluid. Next, I locate a dump station to empty out the sewage tanks, both black and gray. Once I get home, I reload the tanks with water and sanitize them, after which I proceed to spend a few days cleaning the RV to the minutest of details. Only after I’ve done all of that can I take my RV on its first official drive. Most of the steps I listed above apply to RV dealers as well. However, there are some differences. For example, if someone poses as a dealer in their ad, I immediately check for information online. If anything is off, I avoid all contact. Most of the steps I outlined above work in the same way with dealers as they do with individual sellers. I ask to check everything about the model and then proceed to take it for a test drive. The only additional step is when we come to the payment. Namely, with dealers, I can set up a financing plan. This is a little more difficult with individual sellers. Buying used RVs is almost an art form. It took some time and hard work, but once I got into it, I didn’t stop. Not only is a potential RVer going to learn about buying motorhomes at reasonable prices, but they’ll even manage to resell them and get the best deals themselves. Not to mention that this process is merely the “boring” part of getting an RV. After all, what follows is driving it across the country and, to put it bluntly, living the good life.